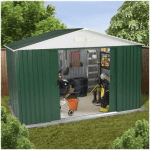 This 6’ x 4’ budget metal pent shed is perfect for everything you need to tend to your garden, along with some room for other extras as well. 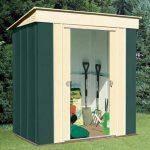 Perfect for the smaller garden, this unit features a pent roof that keeps rainfall from wearing it out. 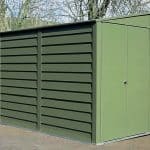 With a windowless, metal design it will withstand the harshest of elements, keeping your things safe and secure, without damage. 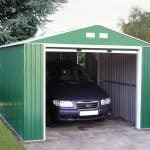 The double doors on the front of the shed make it easy to fit bigger items inside, and easily get in and out quickly, without moving everything around. 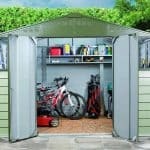 If you want a sturdy, reliable space for your small to medium garden essentials, then this shed is just right.